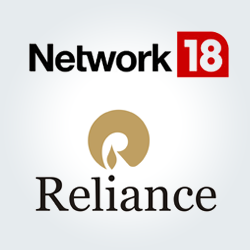 Reliance Industries Ltd has acquired majority control (78%) of Network 18 Media and Investments Ltd, as well as a 9% stake of its subsidiary TV18 Broadcast Ltd. The board of RIL approved funding of around RS. 4,000 crore to Independent Media Trust (IMT), of which RIL is the single beneficiary, for the attainment of the group, according to a recent statement by the company. It has also been reported that Raghav Bahl, founding/controlling shareholder and managing director, Network18 has left the company, after an internal email was quoted informing the Network18 employees he would be exiting the role. The current editor-in-chief of CNN-IBN, Rajdeep Sardesai is set to go on long leave as planned but rumours have circulated that he may not return to the role. While two senior executives on Network 18, B.Sai Kumar, CEO, and Ajay Chacko, COO, have recently resigned and CNN-IBN international affairs editor Suhasini Haidar is set to join The Hindu. The high profile nature of the deal has also initiated discussion surrounding the appointment of a well-known TV anchor, who has yet to be named.